2 cities, 3 days, 20+ artists, and tons of dub echoes and bass! 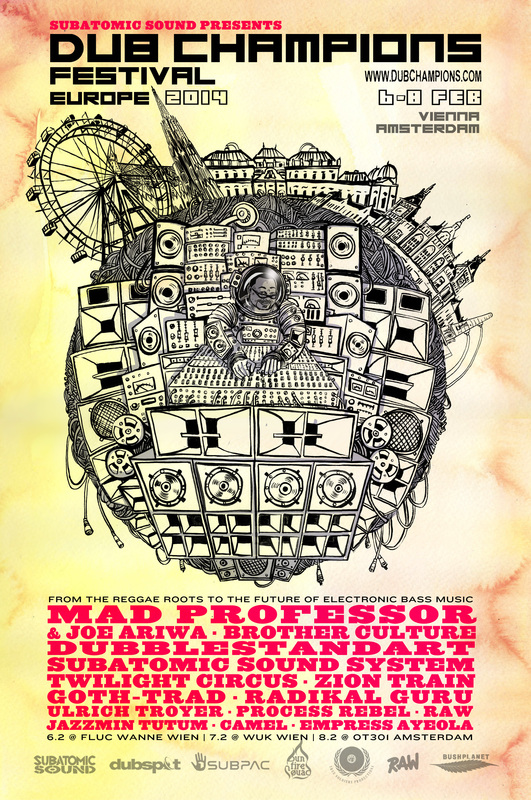 6-8 Feb, Dub Champions Festival Europe returns in 2014 to Vienna 2/6 @ Fluc and 2/7 @ WUK and debuts in Amsterdam, Saturday, 8 Feb. Click here to view the full full festival program. Performances and educational events from the reggae roots of dub to the future of electronic bass music featuring legendary dub masters and sound revolutionaries. Limited discount tickets available here for Amsterdam and Vienna.